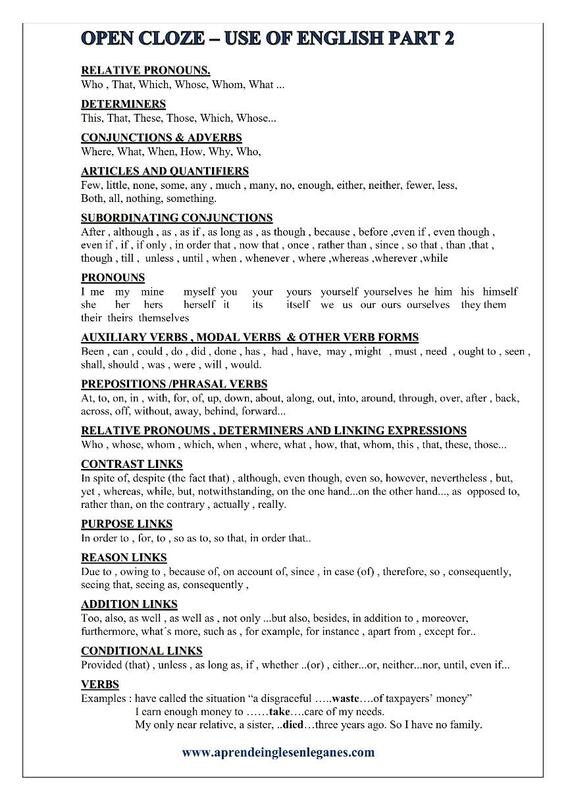 The Open Cloze task is the second part of the Reading & Use of English paper in the FCE, CAE & CPE examinations. In this part, students use one word to fill each space in a short text. The required words are usually grammatical, such as pronouns, articles, prepositions, auxiliary verbs and so on. Below you can download a list of the most frequent words.